Singapore Blinds & Curtains: 5 Reasons Why Roller Blinds Are So Popular In Singapore? 5 Reasons Why Roller Blinds Are So Popular In Singapore? Every home is unique and this is enhanced by selections of furnishings. Roller blinds come in a vast range of choices that can suit any home. Your choice of roller blind will become an exciting addition to your wonderful home. These items will help you add glamour to your home in case you are looking for modern window covering. If you are looking for something special for the living room or kitchen, roller blinds comes in different fabrics from light texture to luxurious suede. This means that there is something for everyone. A good example is lace roller blind which is a great option for your bedroom. These blinds ensure that the outside is well obscure in order to maintain your privacy while at the same time letting in sufficient light to keep your room luminescent. Lace can perfectly match with your bed clothes and linen. These items are easy to maintain since they are a wipe and clean items. Therefore you can either use a dry or moist cloth to clean the dirt on blinds surface. Regular cleaning of roller blinds will make them look gorgeous for a long time. The cleaning schedule will take a few minutes and this is helpful to people who have busy careers. Roller blinds are durable and you can always count on them to function as good as new. There is a huge variety of roller binds available in the market today. These blinds are made of different materials and colors which any home owner would crave for. By having a range of options to choose from allows you to select the color that match with your home décor. Do not settle for any roller bind that is less than your desired choice. Ready made roller blinds are cheaper and can easily be fitted by a handyman. You can also get custom designed roller blinds that can be fitted by experts, but these blinds are slightly expensive. Roller blinds are low costing compared to roman blinds or wooden blinds. You can afford them even with a small budget. 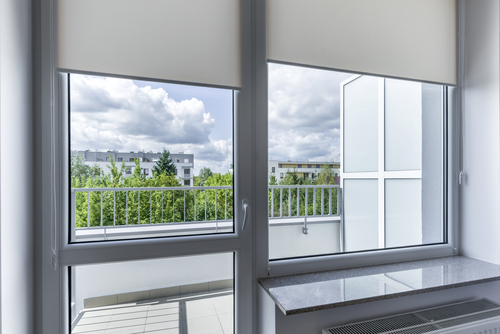 Roller blinds provide a great protection against dangerous UV rays from the sun. They are well designed to allow enough light and air to pass through. These items can also help you to protect your privacy within your house. Roller blinds have slats that can easily be adjusted in order to provide a limited view within your rooms. You have an option to have roller blinds that are plain or to have colorful and funky blinds that you desire. Your imagination is the only limit you can have when it comes to the designing of your roller blind. This is a cheap and affordable way on how you can express yourself. You can choose a design that will jazz up your apartment or flat. You can also have your designs printed up to your roller blinds and get a specialist to hang it for you.